Situated in the southern Caribbean Sea north of the Venezuelan coast is the fascinating island of Curacao. It actually consists of the main island as well as the uninhabited island of Klein Curaí§ao. This beautiful island nation is the perfect place to go for that dream vacation or to spend an extended period of time. Whether you want to spend that time lazing on the beach or hiking through some amazing country to the top of a mountain, or scuba in some magnificent spot or explore the Hato Caves with its hieroglyphs that are over 1,500 years old, there is something here for everyone. 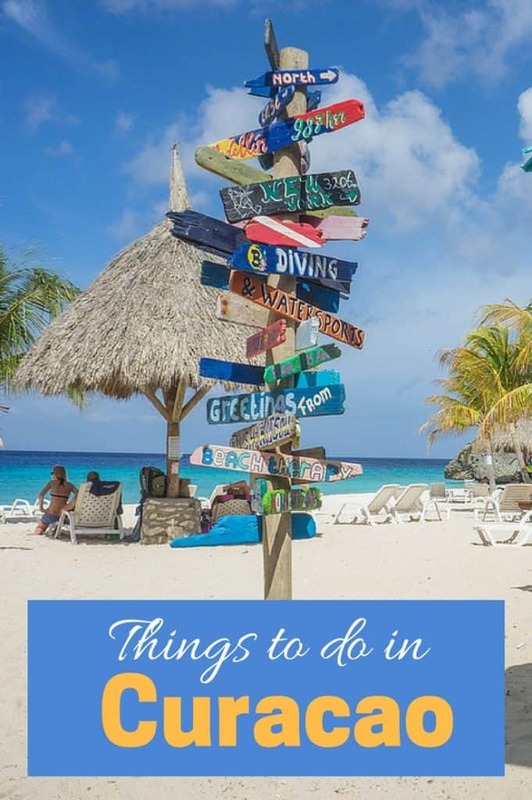 Listed here are just a few of the things to see in Curacao that you will be talking about for a lifetime. Willemstad is the capital and largest city in Curacao. It is also one of the few UNESCO World Heritage cities in the Caribbean. This is a beautiful port city with brightly colored buildings that feature the Dutch colonial era architecture that make this an even more fun place to visit in Curacao. There is some fantastic shopping opportunities, from high end retailers to shops selling souvenirs and other local merchandise. There are great restaurants, bars and clubs for a perfect place to relax in the evening after spending the day at the beach or on a safari. You will also find museums and other sites that you will want to make sure you see while you visit Curacao. 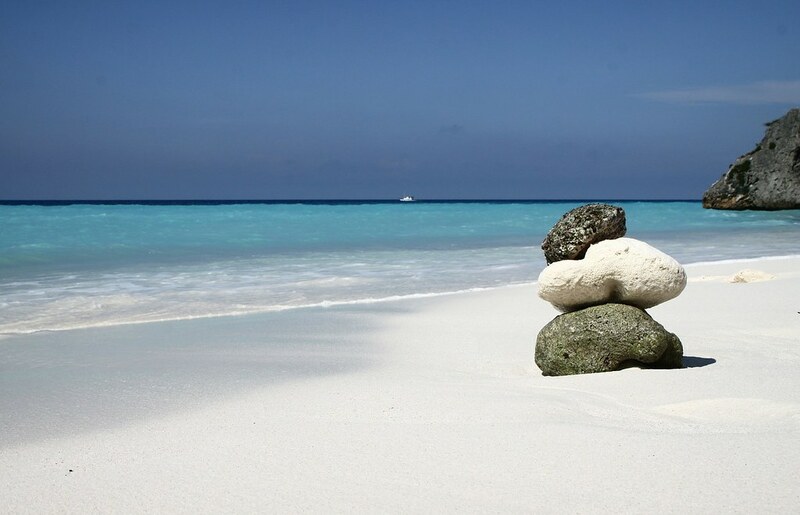 Of course the main reason most people decide to visit Curacao is the fantastic beaches. Almost all of the beaches are scattered along the sheltered and calmer southwestern coast. Here the waters are crystal clear and stunningly beautiful. One of the most popular beaches is Seaquarium. It is a postcard perfect beach with its sugary white sand and palm trees swaying in the breeze.There are several shops, food vendors and bars right there to keep you satisfied and relaxed all day. Many times there are movies and concerts held right on the beach for all to enjoy. No matter what water sport you want to try, you will find facilities here that can provide you with the equipment you need to make your stay perfect. Another beach that is very popular but not nearly as crowded is Santa Cruz. This amazing beach is dotted with palm trees and is surrounded by a mangrove swamp. The mangrove attracts beautiful tropical birds that you can watch from Santa’s Cruz’s wide sandy beach. There are a few shade structures along the beach as well as a small bar, restaurant and restrooms. For that more secluded day of sunbathing, playing in the water and bird-watching, this is the best place to visit in Curacao. Playa Piskado or Playa Grandi is a tiny picturesque fisherman’s beach that you will simply fall in love with! It has excellent scuba-diving and snorkeling opportunities as well as many other water sports. Natural shade is provided by the many Manchineel trees along the shoreline, and with the boats and nets of the local fishermen in the waters, you will enjoy the feel of the native atmosphere here. Click here for a list of the best beaches in Curacao. There are many amazing possibilities when it comes to snorkeling and diving in the beautiful Curacao island. Divers from all over the world come here because of the magnificent underwater world there is to see. There are 40 different dive areas, which cover 65 individual sites where you can either scuba dive or snorkel, some right from shore and others that can be reached by boat. One of the most famous, that every diver loves, is the underwater jungle of the Mushroom Forest. It got that name because of the 10 foot mushroom-shaped star coral that is prevalent here. Barracuda Point, also called Punt’i Piku, is another popular place to dive. It is located just across the channel from Barbara Beach and near the mouth of Spanish Water. It gets its name from all of the large barracudas that are in the water. They love to follow divers while they are in the water, which can be a lot of fun. They are not dangerous at all, just curious about who has come to visit! 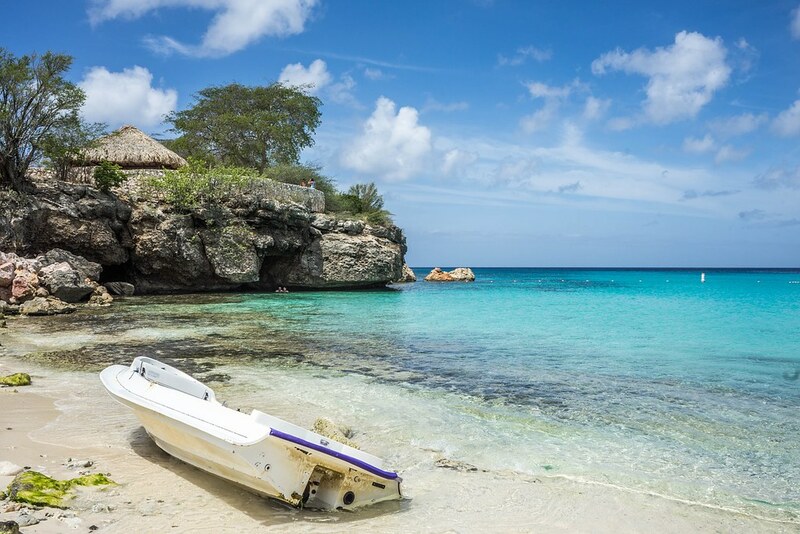 Daaibooi beach is a fantastic place to snorkel and dive in Curacao. This amazing reef is filled with several types of sponges, star corals, pillar corals, brain corals, elkhorn corals, and gorgonians as well as lots of typical reef fish. While the name may be hard to pronounce, it will be one you won’t forget! Hell’s Corner gets its name from the strong current that flows through portions of it. The dive site is in a calmer section near a steep wall that has some amazing underwater marine life. Some of the fish life includes schooling jacks, barracuda, sea turtles, lobsters, and spotted and green morays. There are also many species of corals, mushrooms, sponges and gorgonians. 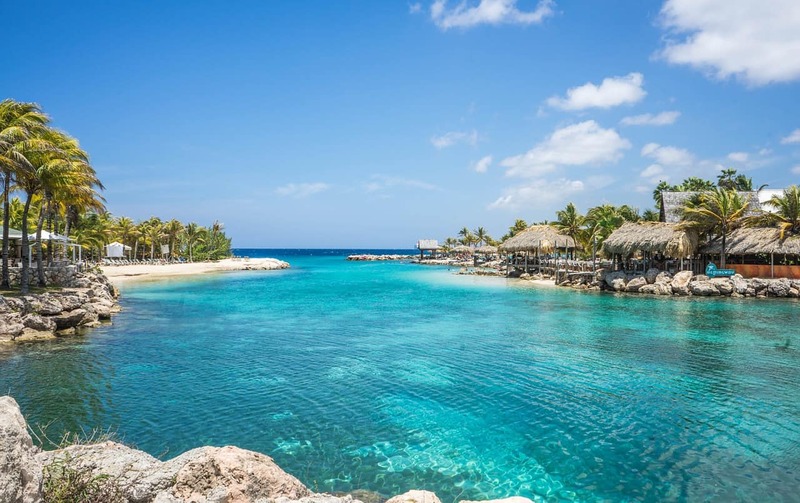 These are just four of the many places to dive and snorkel — you will certainly want to try out these and as many others as you can while you visit Curacao. Christoffel park is one of those place to see in Curacao that you will want to devote an entire day to. It is the largest national park in the country and is amazing for all of the native birds, exotic wildlife and plants that are here. Many of these can only be found in this park, such as some of the wild orchids and the native barn owl, the Palabrua, which is very rare indeed. Hike one of the eight trails where you will see some amazing natural gardens or spectacular views if you take the most challenging one to the top of Mt. Christoffel.There are also some routes that can be taken by car that offer some great views across sea swept bluffs and through underbrush teeming with wildlife. 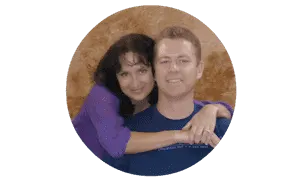 There are also safaris, deer watching, animal presentations, cave excursions, a guided park tour and many special trips like occasional full moon walks and sunrise safari’s that you can take part in. There is something for all tastes for anyone that loves nature. The Curaí§ao Liqueur Factory is where Blue Curacao is produced, along with many other varieties of liqueurs. Blue Curacao is one of the most famous liqueurs in the world, and it and the others are still being made in the traditional way that began in 1896. It is made at the famous Landhuis Chobolobo, where you can experience the entire process as well as taste what they have to offer. The Sea Aquarium is one of the most popular Curacao tourist attractions in the country. This amazing complex is world-renowned because of the open water system, which means that water from the sea is continuously pumped into the aquarium. It is right on the ocean and next to a beautiful coral reef and boasts of over 400 specimens of marine life from the area in various smaller aquaria. You can actually snorkel or scuba dive in Curacao, where it is possible to hand feed stingrays, sea turtles, sharks and many other colorful tropical fish! If you do not care to get into the water, you can watch as others do from the Underwater Observatory Boat. ChiChi is the resident sea lion, and four times a day, after she eats, she will show off her many tricks for the audience. After all of this fun, you can enjoy the air-conditioned theater and then browse through the Shell Museum where you will be surprised at the extensive shell collection. This is certainly one of the most fun places to visit in Curacao! Dolphin Academy is another fascinating Curacao tourist attraction. Here you can get into waist deep water and get to know the Bottlenose Dolphin while an instructor is teaching you all about them. For those that wish, there is also opportunities to swim, scuba dive or snorkel with these amazing animals. It is such an incredible experience, being so intimate with one of the most amazing creatures in the world. The Curacao Museum is one of the many museums in the country that you will be fascinated with. Located in the western part of Otrobanda, it gives a real feel of the history of the island. There are many pre-Colombian Indian artifacts, evidence of the afro-Curaí§aoan practiced after the abolition of slavery, their beliefs and mode of living and so much more that depicts the history of the plantations and other ways of life unique to early Curacao. It is an intriguing and interesting way to spend an afternoon and learn more about this beautiful country. The Fortchurch was built in 1769 and is the oldest church in Curacao. The pulpit and the Governor’s bench are both made of solid mahogany and were part of the original church. It also has a collection of artifacts from the Dutch Protestant congregation that was there in 1635 that is very elegant and simply amazing. The Rif Fort and adjoining museum is one of the UNESCO World Heritage sites that you will definitely want to visit in Curacao. It is located in the center of Willemstad, which is also on the UNESCO list as a World Heritage city. While it is a wonderful shopping area, it is more importantly an area that brings the island’s rich history to life. You will get the best experience here if you realize that you are seeing history in motion while you visit the shops and eateries. 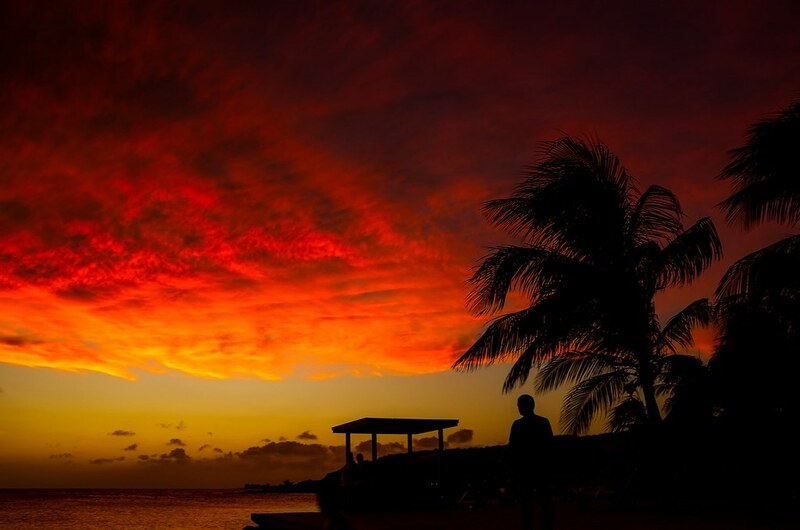 Temperatures in Curacao remain in the mid 80’s all year round. The island’s location is also outside of the hurricane belt and shelters it from the long rainy season that many other islands in the Caribbean endure. 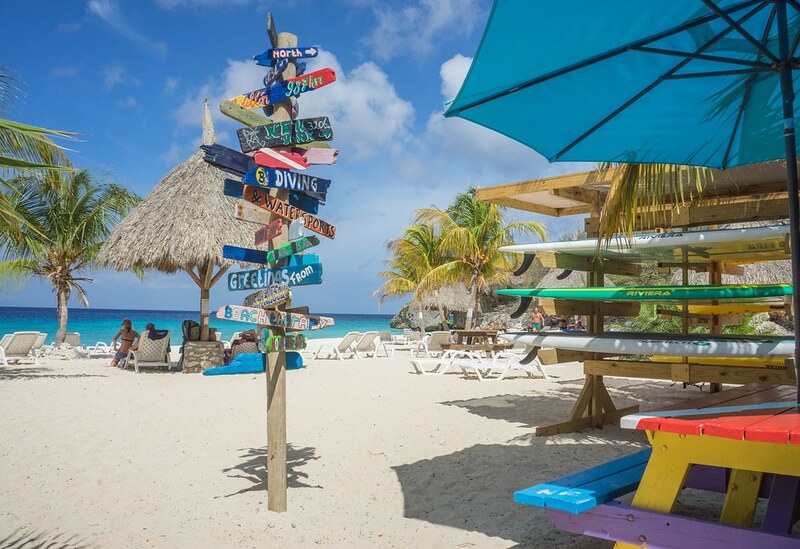 Most visitors travel to Curacao between December and April, which means hotel rates and airfare will be higher and there will be more tourists vying for space on the beach. May to November is considered off-peak season and is the best time to visit if you are looking for a bargain.